BartPE is a great troubleshooting tool to use under any number of circumstances from performing disk checks to virus or spyware removal. This guide will show you how to make a BartPE with virus check and spyware ISO or CD. Before we get started, you’ll need to make sure you have a copy of Windows XP on hand. Download the BartPE Builder package. The PE Builder will create a custom XP install that you can run from a disk without affecting your main operating system. Download the free edition of Adaware and McAfee Stinger. Install Ad-Aware as you would normally. 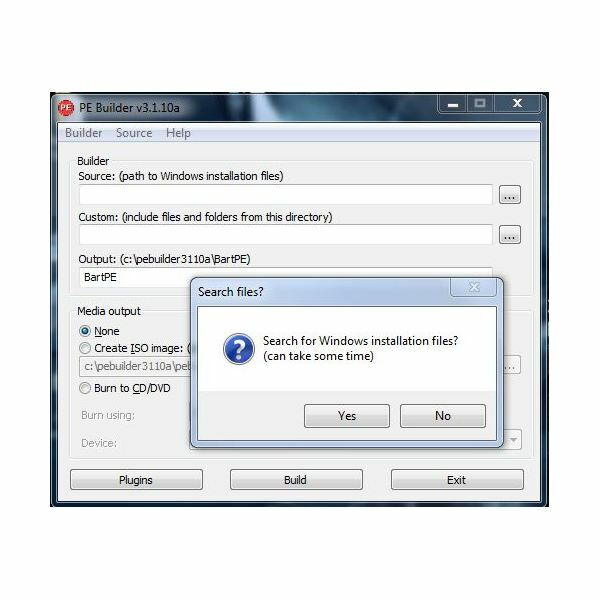 Pay attention to the install location as you will need to point PE Builder to some files when we build the BartPE CD. Be sure to perform an update of Ad-Aware to ensure you have the latest definitions. Double click on the PE Builder download from step one. Select the desired language and click OK.
Click Next on the remaining pages altering options as desired. Follow these steps to create a bootable CD using BartPE. 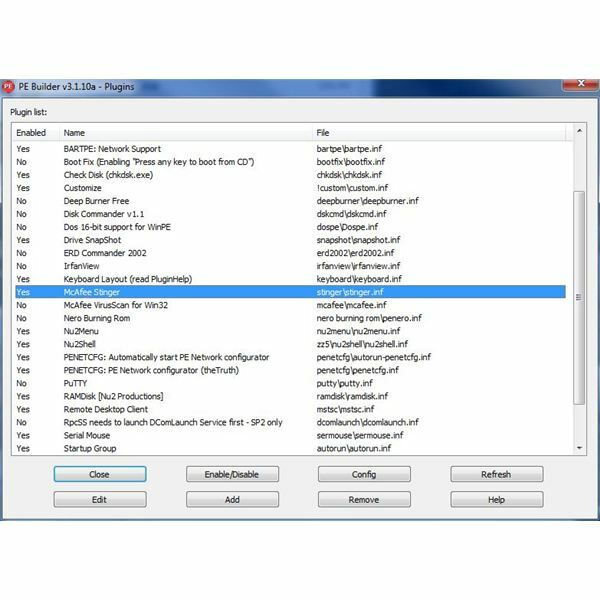 Launch PE Builder by choosing the option to do so when the install has finished or go to Start, Programs and select PE Builder. Accept the PE Builder license by clicking I Agree. Insert your Windows XP CD into your CD\DVD drive and Click Yes on the “Search Files?” window (Figure 1). After a few moments, the search should find the Windows XP installation CD. Click OK. If there were multiple sources found select the one you wish to use and click OK. In Figure 2, you can see I have one source local to my hard drive and one is a CD. We now need to copy some files from Ad-Aware and Stinger to a plugin directory for PE Builder. 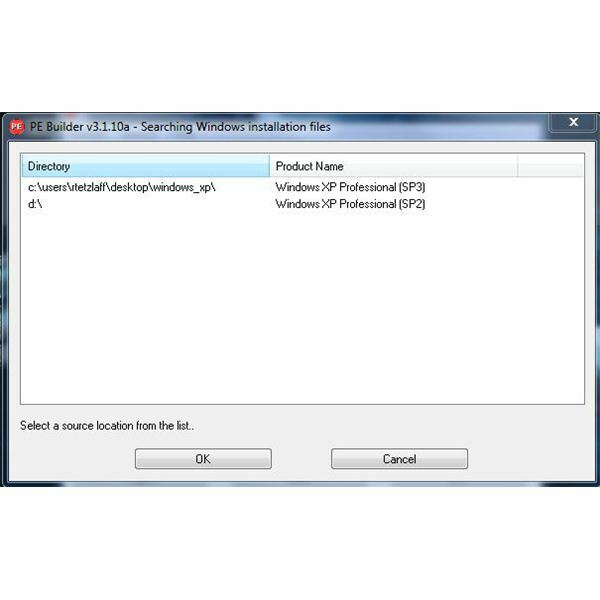 Browse to the location of your Ad-Aware install files and copy "ad-aware.exe" and "defs.ref" to the PE Builder plugin folder. By default this will be under C:\pebuilder3110a\plugin\adawarese. 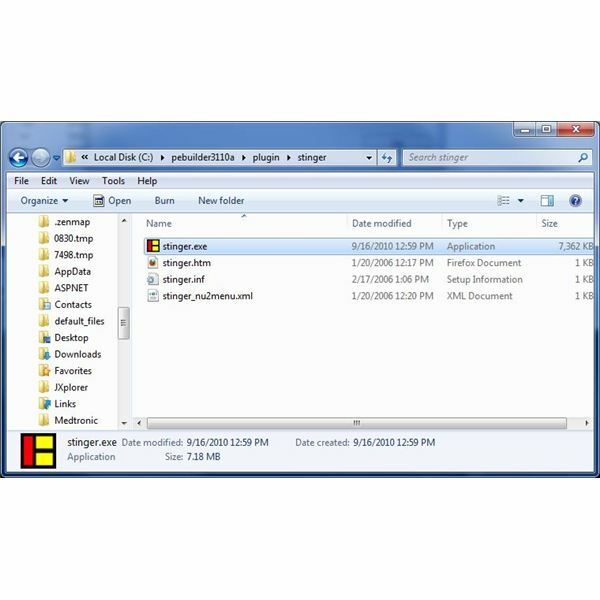 Rename the Stinger download file to "Stnger.exe" and copy it to C:\pebuilder3110a\plugin\stinger (Figure 3). In the main PE Builder application, you should see the source field filled in. Click Plugins and then select Ad-Aware SE. Click Enable\Disable. The Enabled column for Ad-Aware should now say “Yes”. Repeat the process for McAfee Stinger (Figure 4). Click Close to return to the main menu. Under the Media Output heading, select the option to create an ISO image or to burn to a CD\DVD. Click Build when you are ready to begin. Accept the Windows license agreement when presented. PE Builder will now create a custom BartPE CD for you. The whole process shouldn’t take more than a few minutes. Click Close to complete the process. To use the new CD to scan for viruses or Spyware, insert the CD in your drive and reboot your computer. Be sure your computer is set to boot from disc. When BartPE starts up, click No when asked whether to enable network support (Figure 5). You can now go to Go, Programs Ad-Aware SE or McAfee Stinger (Figure 6). With that, you can now use BartPE to check your computer for Spyware and viruses. Be sure to periodically update your BartPE ISO image in order to keep your virus and spyware definitions current.